If you are agog over the USB drives, here is a new one from Kingston which is also compatible with the MAC OS. Normally, there are a select number of USB flash drives that can be read by MACs and now Kingston has put all those conflicts to rest with the DataTraveler Vault USB Flash Drive. Data onboard the DTVP is secured by hardware-based, on-the-fly, 256-bit Advanced Encryption Standard (AES). The drive has fast data transfer rates and is protected from brute-force attacks by locking down after 10 unsuccessful login attempts. After lockdown, a reformat is necessary to make the Flash drive operable again. 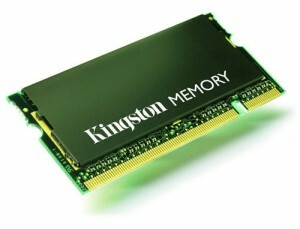 Kingston has been around and is really known as a reliable distributor of memory chips and units throughout the years. And to prove that they are indeed making great progress in keeping up with their niche, people just have to look at their 2008 performance to undermine that Kingston is indeed up and about as far as memory unit distribution is concerned. Kingston Technology Corporation, the independent world leader in memory products, today announced that in 2008, it achieved a record 41-percent increase in total memory units shipped over 2007 volume. 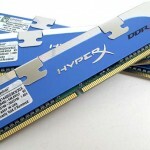 Despite oversupply, average selling price erosion and a weakened global economy contributing to a down year in the memory industry, Kingston gained significant market share in both DRAM and Flash memory. The company’s global sales totaled $4.0 billion U.S., a $500 million decrease from record-setting revenues in 2007. Despite the drop in overall revenue, Kingston posted substantial increases in unit volume in all product lines: Flash memory, Branded memory, ValueRAM(R) industry-standard memory and HyperX(R) for gamers and enthusiasts. Kingston first reached the $1 billion mark in global sales in 1995, surpassing it with $2 billion in 2004 and $3 billion in 2005. With that piece of information, expect Kingston to continue to come up with better products and broaden its distributing efforts in delivering quality memory modules aimed at the techie geeks of today. Founded in 1987, Kingston Technology Corporation offers a wide range of quality memory products and services designed for increased productivity and overall system performance. New memory chips will be available in the market soon thanks to the efforts of the developmental team of Kingston Technology Company, Inc., a known brand name in the world of memory chips in the computer industry today. 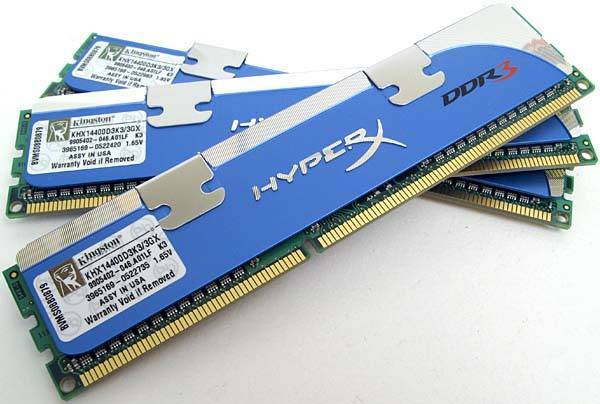 Their latest memory chips, an ultra-low latency HyperX DDR3 SO-DIMM, is expected to hit the market soon, targeting initially the laptop and notebook users. The new features of this new memory module is the new metal aluminum heatspreader that dissipates heat better than any other metal, for added consistent performance. We all know that when chips heat up, a slow down on processes occur and while we find the proper ways to provide ventilation for them, it seems that the overheating issue is far from being addressed. But leave it to the memory module manufacturing companies to make the necessary adjustments and Kingston has become the first to address the heating memory chips issue. So with that said, improved computing may be in store for all laptop and notebook users who extensively use their gadgets for personal and professional use. Backed with a lifetime warranty, it makes you wonder if Kingston would introduce a similar memory chip module for the desktop users. Knowing for a fact that desktops have their share of users, it should not be surprising if they do. Besides, many are sure to be waiting for that as well!